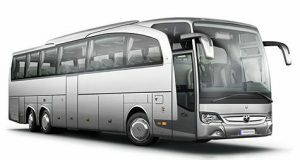 Francebus Article about minibus Nice Cannes Monaco: group transport, bus. You’re looking for a bus or a minibus in Nice to transport you to Nice airport or to any city of the region ? Minibus Nice Cannes Monaco : minibus 8 seats, minibus 15 seats, et minibus 25/30 seats. Bus Nice Cannes Monaco : bus 45 seats, coach 55 seats, Grand Tourism 60 seats. Francebus, as a passenger transport offers you the ideal solution for your group transport. Minivan Eco: a 8 seats minivan, a vehicle reputed for its comfort and its space! Minivan Premium : a 7 seats minivan, reference for the luxury group transport! For any kind of demand, do not hesitate to contact us! We will provide you with a free quotation with no purchase commitment. Looking back 6 years of experience in the field of the transport of passengers, Francebus has acquired a bride network of coach companies. Hence, we can provide you with vehicles of different sizes and ranges. From the 8 or 7 seats luxury van to the 20 seats minibus and the Grand Tourism 60 seats bus, no worries; whether you’re a group of 7 people of a group of more than 100 people, we have the solution for your transport. For your weeding, a business conference, a private tour, business tourism or for any individual or professional event, Francebus offers you the rental of minibus from/to Nice airport, but also the rental of a minivan, a minibus with driver. You want to move freely, without any time constraints, with a driver at your disposal ? For the rental of a minibus Nice Cannes Monaco, a simple transfer to your hotel of for a daily rental, from the 7 seats minibus to the Grand Tourism bus, we organize for you all types of private collective transport, for groups of 7 to 100 passengers. Looking back solid experience in the field of the tourism business, our team of professionals will guide you all and listen to your needs throughout the year. Should you require any further information, a free quotation, please feel free to contact us, with no purchase commitment from your side. Our office, near to Nice airport enables us to be highly responsive to your needs. 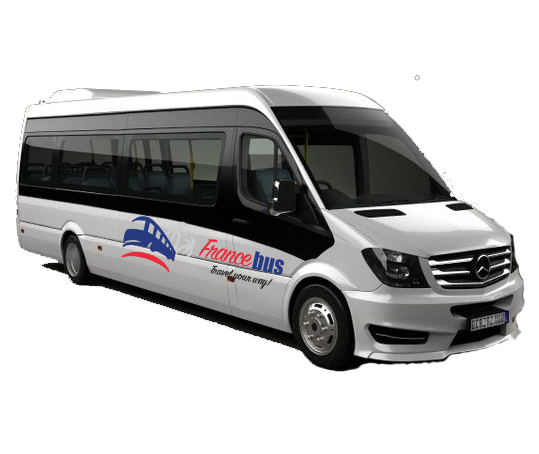 By contacting Francebus, you will have the possibility rent a minibus Nice Cannes Monaco, or a bus, for several hours, for a day, or even for several days. For any booking or quotation request, do not hesitate to contact us! Our team will be pleased to respond to your demand within the shortest deadlines. To book ? Click here!